Carnaval Officials Lie about Profits. 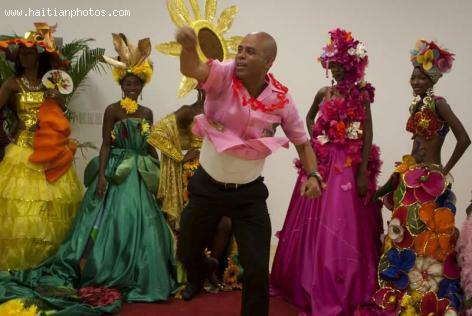 In an effort to avoid public outrage, Carnaval officials have claimed Carnaval des Fleurs netted 21 million gourdes in 2012. Nothing could be further from the truth. Independent analysts say Carnaval figures add up to a 46-million gourde loss. Losses accrue from Carnaval performers living and spending their earnings outside Haiti. And Carnaval sellers don't report their profits to the tax collector. In other words, the Haitian tax payer is paying for Carnaval out of their income.